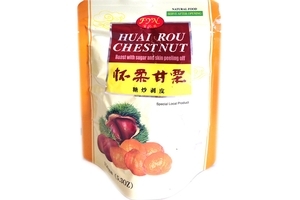 FYN Huai Rou Chestnut in 5.30oz (150g) pack. Roast with sugar and skin peeling off. Product of China.